According to marketresearch.com, the global skin care market will reach $121 billion by 2021. Considering the average person’s skin covers an area of 2 square meters and accounts for about 15% of your body weight, it’s no wonder that skin care is the largest category in the cosmetics industry, accounting for nearly 40% of the market. While the trend in skin care is heavily based on products that are free of parabens, artificial fragrance, fillers and additives, they also have to work. So the big question is, how do you make sure your contribution to that $121 billion is well-spent? How do you choose your skin care products?? My advice is trust your skin care technician! Your skin is unique and requires a customized regimen that will address your specific concerns. The “one size fits all” rule does not apply to skin care. A genuine, and well-trained, skin care technician or Esthetician will help you invest (yes, you have to look at your skin care as an investment in your skin’s health…remember 15%!) in your day-to-day skin care routine. And no, you do not have to leave the spa with a bag full of products that will take over your bathroom counter. 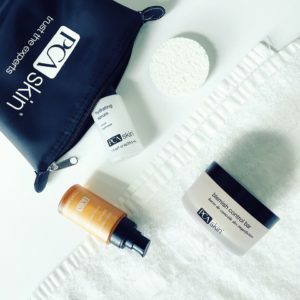 Today’s products are formulated to work harder and smarter for you, treating multiple concerns like fine lines and wrinkles, pigmentation, loss of elasticity and even the occasional breakouts at once. While Facebook and Amazon are trying to mass sell us all the same newest, greatest skin care concoction, keep in mind that there is no one product that is best for everyone. So, next time you find yourself searching for a serum, moisturizer or any other product, visit a spa and talk to a professional. Or better yet, schedule a facial treatment so that your Esthetician can really give you a thorough diagnosis and skin care plan. Otherwise, your “investment” in healthy skin may be nothing more than handing over money to the highest bidder on Amazon.